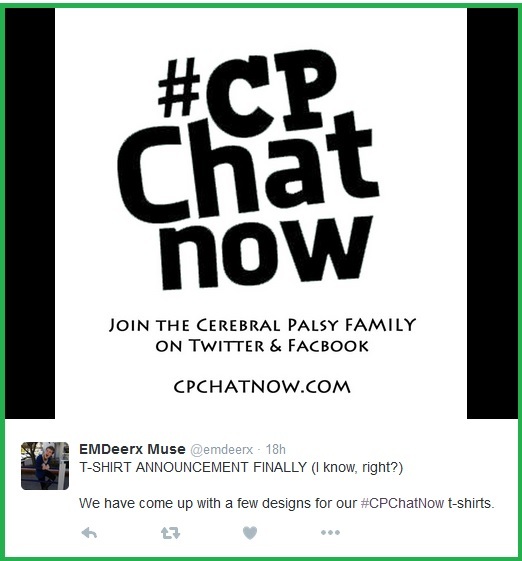 Let a new era in the cerebral palsy community CPChatNow officially begin! 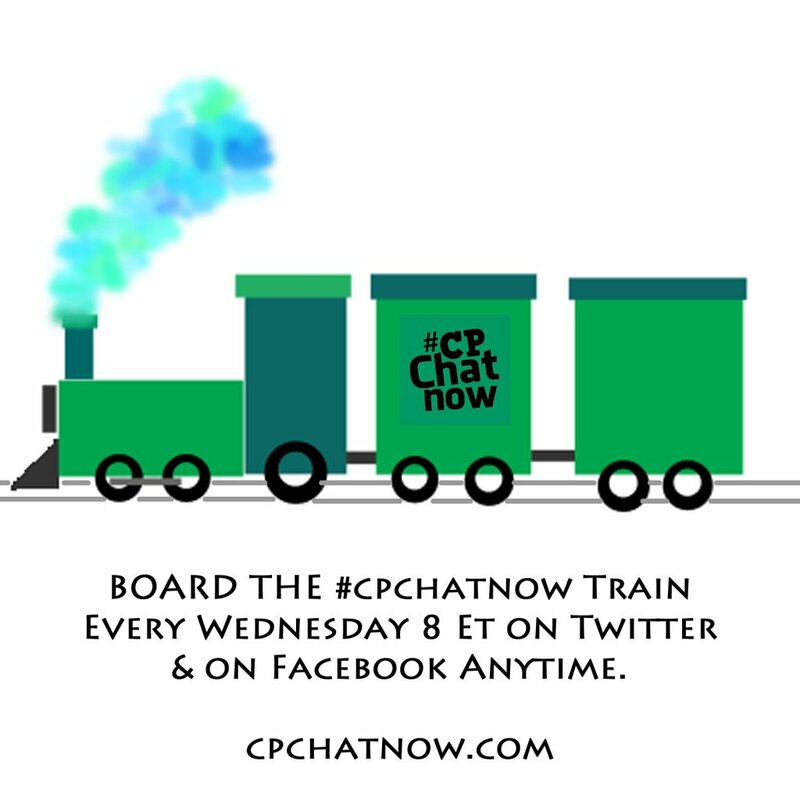 I am #CPChatNow co-founder and current co-host Zachary Fenell. I introduce myself because the future will see posts from others in our community. While we work towards those developments, I will resume providing you recaps highlighting our live weekly Twitter chats. Previously said recaps appeared on my own blog at zacharyfenell.com. In an effort to create more community ownership though, this website came about. 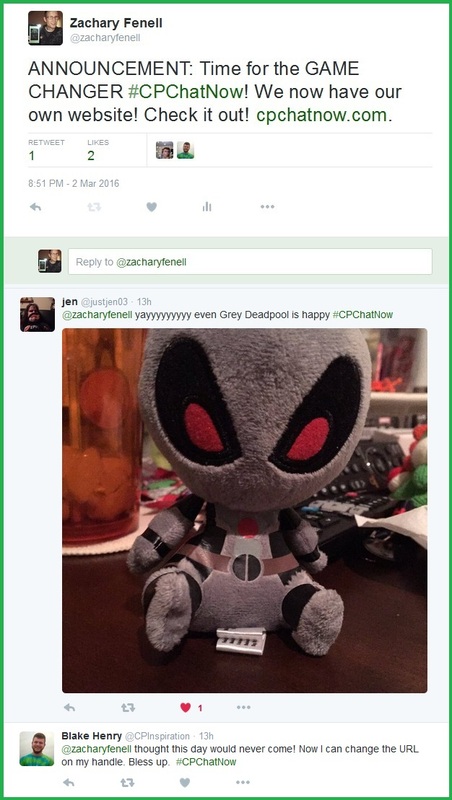 Last night during our live chat I officially revealed cpchatnow.com. 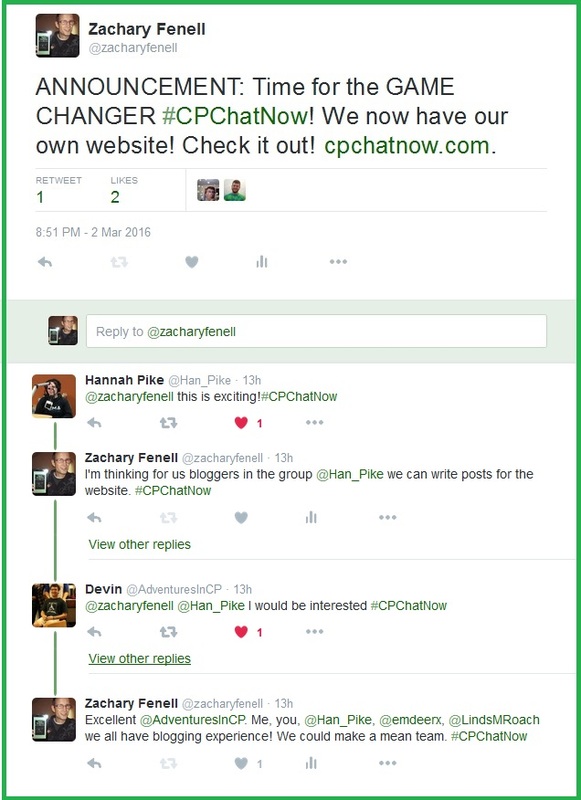 As the latter screen grab speaks to there exists many possibilities to grow CPChatNow through the website. Over the next few weeks we will set out actionable steps to turn the possibilities into actualities. Meanwhile allow us to focus our attention on Wednesday, March 9th (THIS Wednesday). Announced by my co-host Blake Henry, we will welcome a very special guest in the upcoming week. Back in 2014 Hunter carried his brother Braden on his back for 40 miles in a trek dubbed “Cerebral Palsy Swagger.” The story went viral, garnering much mainstream attention for cerebral palsy awareness. Seriously mainstream! Hunter threw out the first pitch at a Detroit Tigers game and won Sports Illustrated’s 2014 High School Athlete of the Year Award. Wrestling fans in our community may even recall seeing Hunter and Braden on Monday Night Raw. 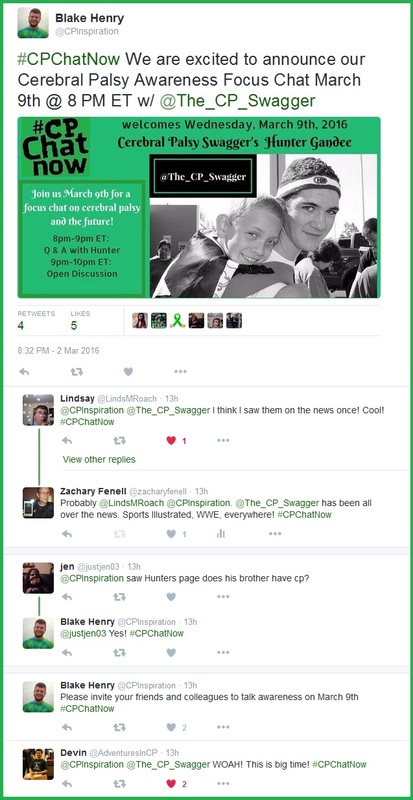 Perhaps most impressive about Hunter and Braden stands the fact they continue their cerebral palsy advocacy efforts. This included raising money for an accessible playground at Braden’s school and topping their 2014 40-mile walk with 57 miles in 2015! You can learn more about these latest endeavors via CNN among other news stations. Between the big website and focus chat announcements yesterday you might think we exhausted our excitement levels. Yet we managed to reach an excitement hat trick! 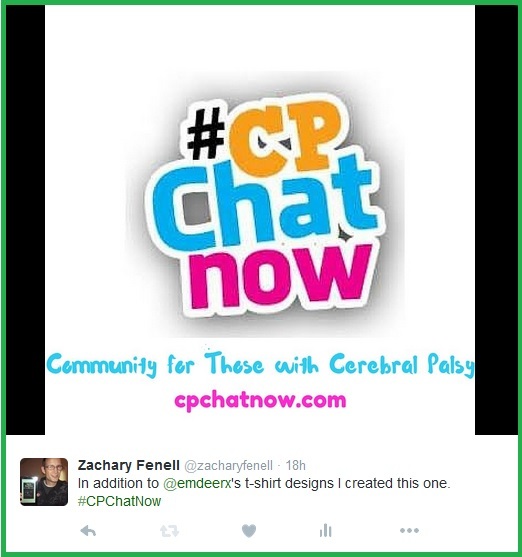 Over the last month Erin (@emdeerx) and I both spent time creating designs for future #CPChatNow shirts. We revealed our respective designs last night. Erin’s second design holds a variation. Option #1: This design remains specific to our Twitter chats. Option #2: This option mentions our Twitter chats but also acknowledges our presence on Facebook. Voice your opinion on the variation you prefer with this week’s extend-the-conversation question. “What train shirt design do you prefer?” Answer in the “Comments” section below! 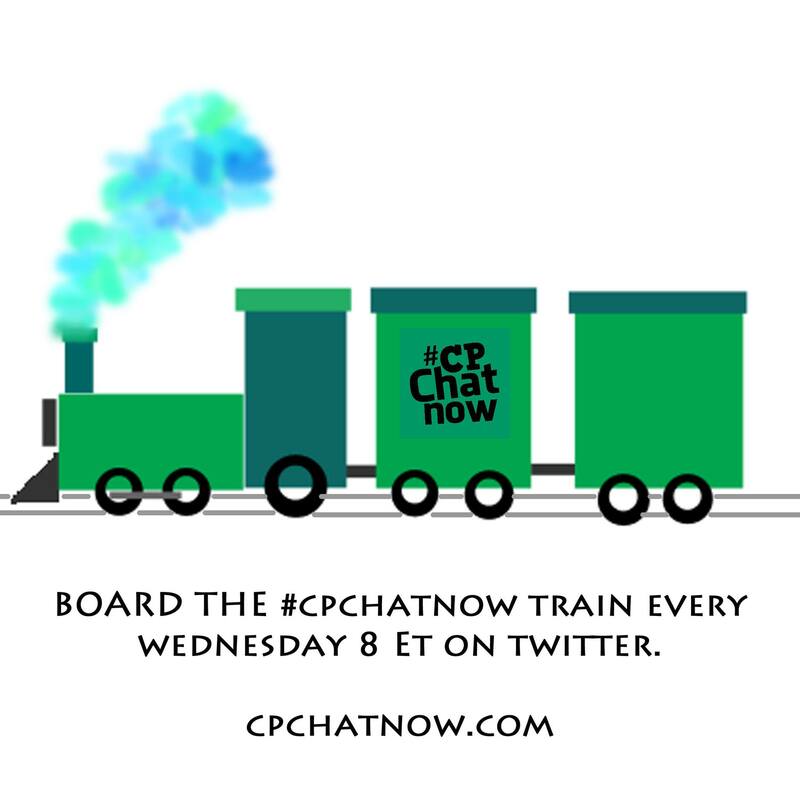 Finally like a train building speed, next week’s chat promises to build on our momentum. 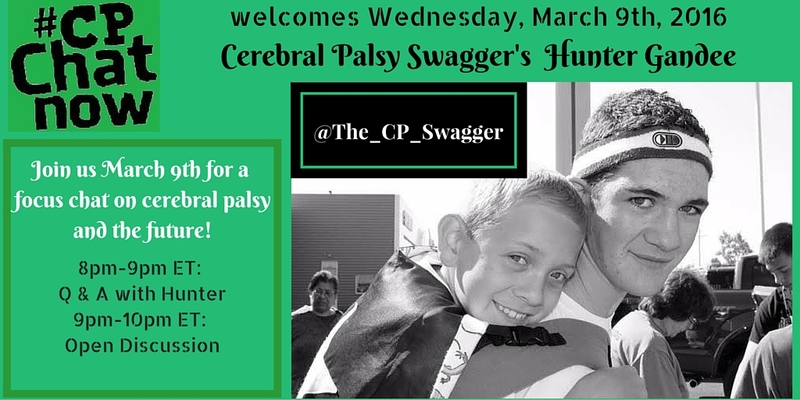 Make sure to join us when Hunter Gandee from Cerebral Palsy Swagger leads our focus chat on CP and the future. This entry was posted in Weekly Recaps and tagged cerebral palsy, cerebral palsy swagger, cpchatnow, hunter gandee. Bookmark the permalink.